Shogun: Total War is the very first in the long series of games in the Total War series. The game is set in Japan and blends turn based gameplay with real time battles. The game incorporates many realistic historical elements into its gameplay. This includes references to the popular war book, The Art of War by Sun Tzu which features heavily in strategic advice presented to the player. Shogun: Total War takes place during the warring states period of Japan’s history which lasted from the 15th to 17th century. As such players lead one of these clans with the ultimate objective to become the sole shogun of all Japan. This doesn’t necessarily have to be through pure military power though with religion, economics, espionage and diplomacy also playing a key role in victory. In total there are 7 different factions available to the player with each having their own advantage in particular game areas so players can choose the clan that links together with their preferred strategy. In addition to the main factions there are plenty of lesser factions to fight against which are often presented as rebels in the game world. 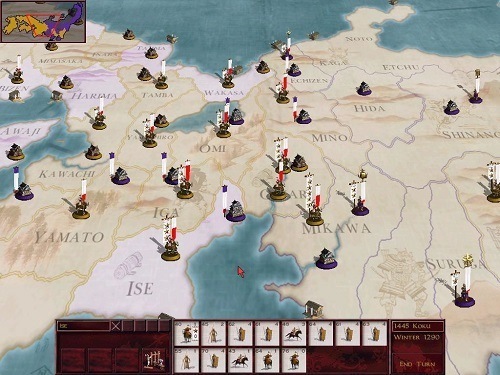 During the turn based side of gameplay players focus on moving units as they see fit across the various provinces within the game world. During this stage players are also able to analyse the status of their faction, trade with others, recruit new units, construct buildings and enter diplomatic relationships. Once a player moves their army into an occupied enemy territory the game switches to a real time strategy mode with players controlling their army. In order to be successful in this mode players must understand the strengths and weaknesses of each unit type and instruct them accordingly. For players who don’t wish to participate in these battles the game can automatically resolve them. In Shogun: Total War you can see where the roots of this highly popular game series started. Despite being the first game in the Total War series the game is just as good as the most recent games. 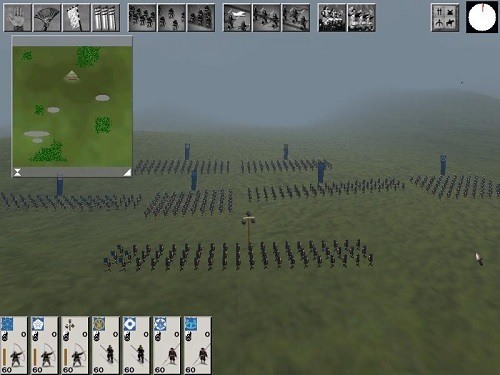 The very first game in the Total War series. Battle against rival clans for control of Japan. Use trade, diplomacy, religion, economics and war to win. Plenty of different unit types to use in the real time combat. Lots of strategic choices to make.